Very happy to be one of TBC/MAG's '10 Artists We Should Be Watching'. My deepest thanks to The Billboard Creative. The digital version of the magazine can be found here. And my profile is on pages 38-41. Cheers! Very pleased to have my absences project featured on Dodho Magazine. Click on the image to see the project. Cheers! Very happy to have had my 'Still..' project featured as part of Propeller Magazines second open call for 'Fiction'. I was never very interested in taking photographs. When I picked up my first camera it was a way of sharing time with someone I loved very much. A way of exploring the world we lived in and comparing views and discoveries. A dialogue that had a limitless potential. The relationship ended but I still think of photography that way. I am just no longer sure who I am talking to. I am honored that I am able to take part in this conversation and would like to thank everyone at Propeller and especially Sofia Silva for her writing on my work. I am very pleased to have been able to take part in the open call for Propeller Magazine. I have just received my copy and am enjoying spending time going through it. It is a bit of an adventure as you will see from the video. Image from Stolen Books. It is a brand new year and, although I am a little slow in writing, I am extremely happy to have my Surfacing project featured by Yogurt Magazine. Thanks to Luigi Cecconi & Francesco Rombaldi for making this possible. 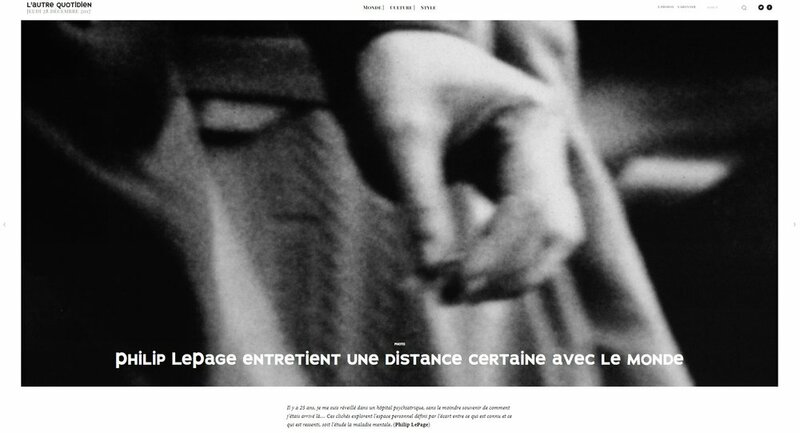 Very happy to have my 'A Certain Distance' project featured on L'Autre Quotidien. This is an ongoing project with the goal of producing a series of photographic short stories that explore the deeply personal space between what is known and what is felt: a study of mental illness. Click on the image to read the article. Very happy to have had my submission to the International Photography Award 2018 featured on the British Journal of Photography's webpage. Click on the quote below to see the editorial. Cheers. Tokyo , for me, is an endless series of subcultures. Each with their own history and traditions. My interest in Tsukiji began with a friendship and my intent to document the world he lived in. This is only the shallowest look into that world and I hope to have the chance to go back and learn more. I need to thank Sofia Silva and everyone at Propeller. 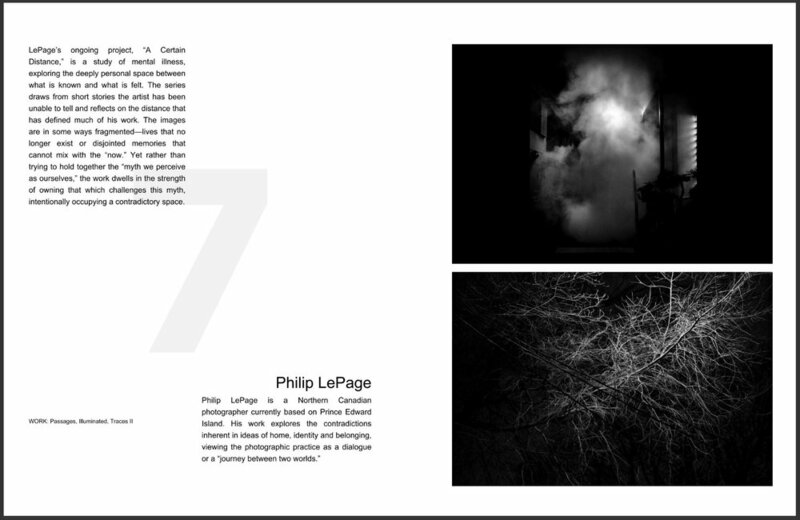 I am very excited that my 'A Certain Distance' project will be featured along with a very intriguing group of photographers. (Click on the image above for their website links) Keep your eyes open for the release... this is going to be fun. For more information visit Propeller. Although I am still in the final stages of editing and sequencing this project I am very happy that Dodho Magazine decided to publish the submission I put together for their 4th issue. 'Still' is the second in a series of ongoing photographic short stories in my A Certain Distance project. They explore the deeply personal space between what is known and what is felt: a study of mental illness. Just Thinking: A Statement of Artistic Intent. Or, Why I Take Photographs. "This is an obscure series that becomes even more interesting alongside your personal story... There is a sense of suspense and uncertainty left with viewer, which is precisely what makes these images successful. You as a photographer have created a veil of sorts that doesn’t quite allow the viewer in. Our minds are constantly trying to make sense of what we are looking at... You have withheld the literal meanings of these images, and forced us to look further, question, and perhaps walk away without resolve." -Excerpt from an anonymous review of A Certain Distance from LensCulture.